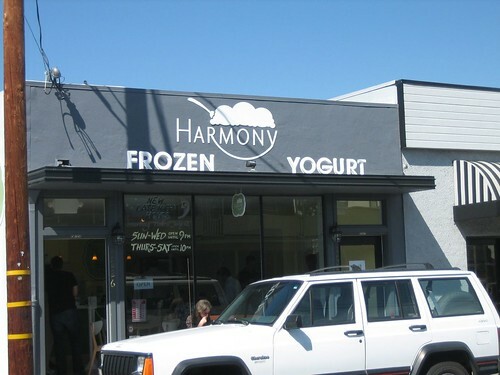 Harmony in San Carlos is yet another yogurt place to jump on the Pinkberry craze. 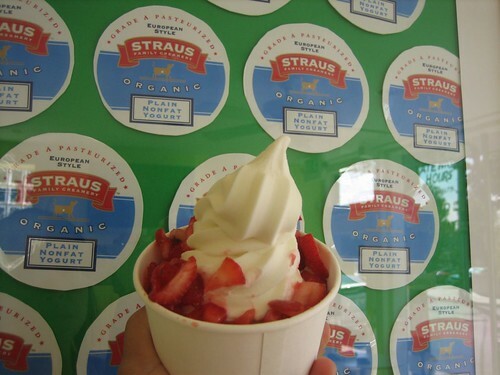 They use Straus Organic Yogurt and you can really taste the difference in the quality. It is thick and creamy. It tastes very natural and somewhat like sweetened sour cream, but not as tangy. The toppings are similar to those at the other Pinkberry knockoffs, but I noticed that several of the fruits are fruit in a syrup rather than just chopped up fresh fruit. For example, Yogurt Bar has fresh raspberries, while Harmony has a raspberries in syrup that looks like a chunky sauce. Don't know how it tastes, because I went with the classic plain yogurt and strawberry. 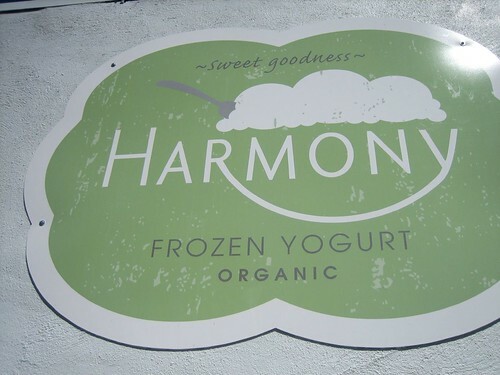 Comparing Pinkberry and its local descendents, Harmony is the thickest and creamiest, but also has the most neutral yogurt flavor of the three. Next comes Yogurt Bar which is also in the neutral yogurt flavor category, but is slightly more tangy and less thick than Harmony. 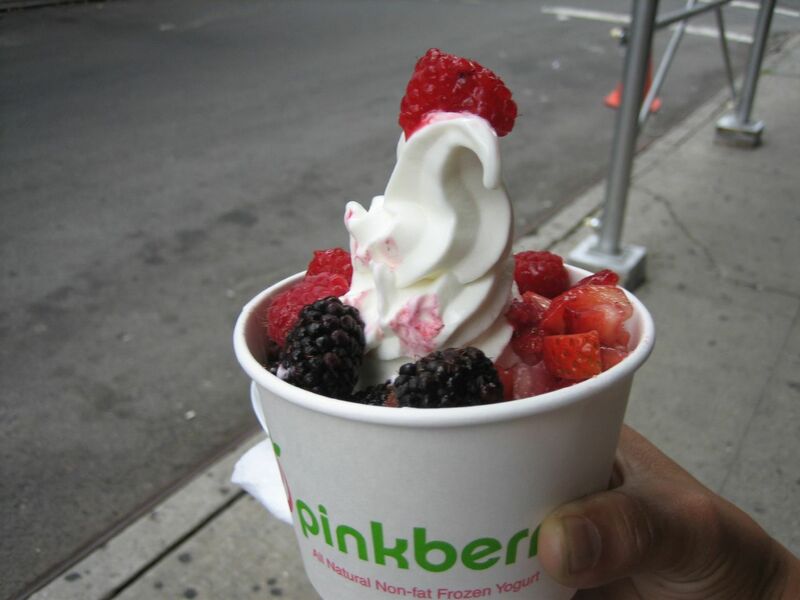 Finally, Pinkberry is the iciest and most tangy with a lemony yogurt flavoring. It is probably the most artificial. At the moment, Yogurt Bar is my fave because it is natural and creamy, yet has some tang.